A heavy-duty cleaner formulated to remove road grime, engine, and undercarriage grease and can also be used on industrial floors and concrete. This product performs without leaving a greasy residue and doesn’t have a harsh scent. 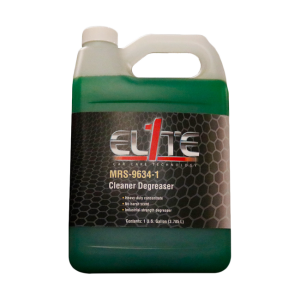 For tougher jobs agitate Cleaner Degreaser with a brush to remove stingy, caked-on grease.